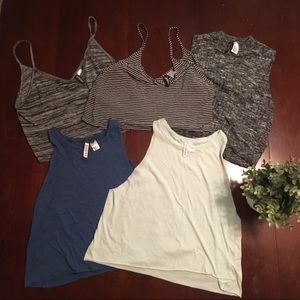 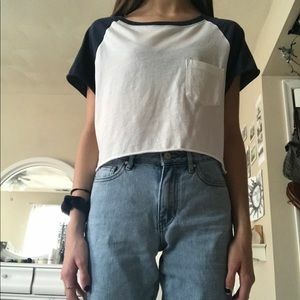 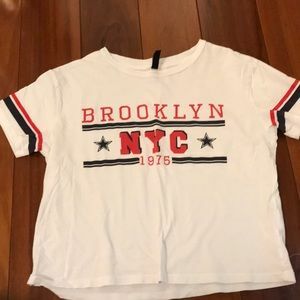 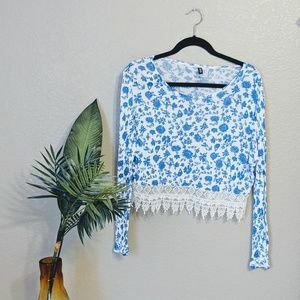 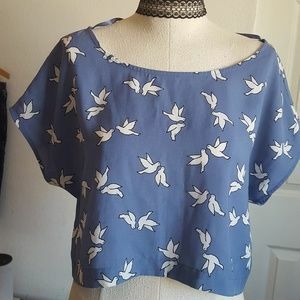 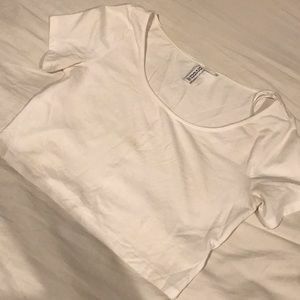 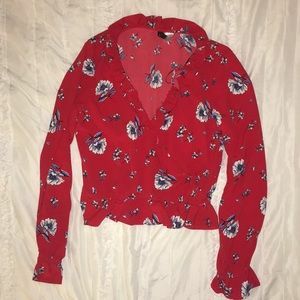 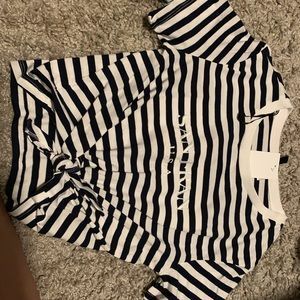 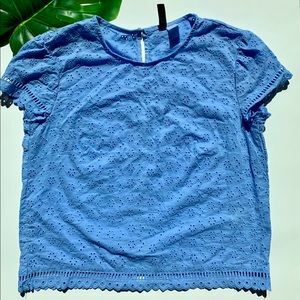 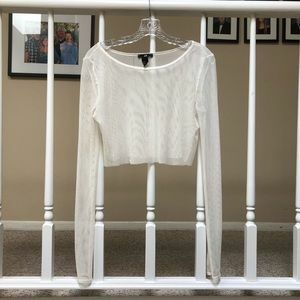 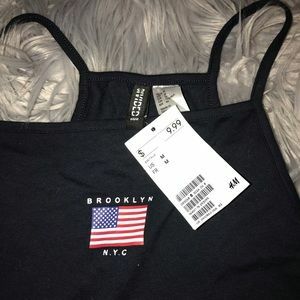 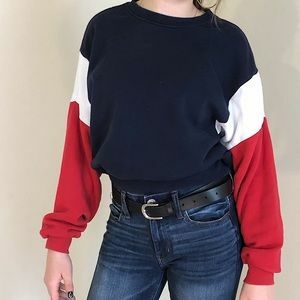 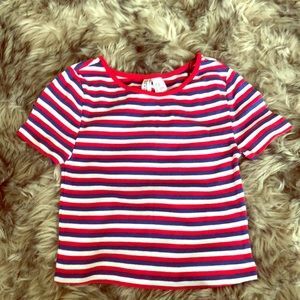 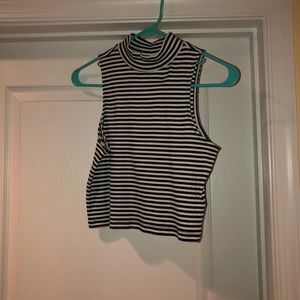 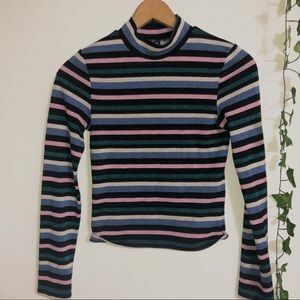 selling san fran usa cropped tee ! 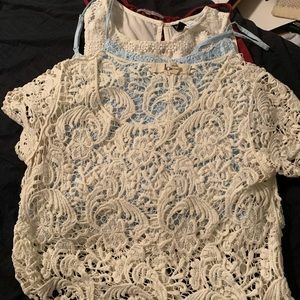 never worn ! 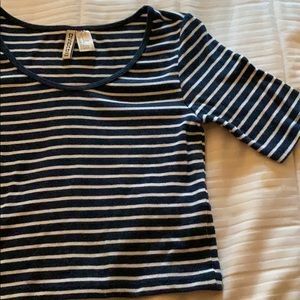 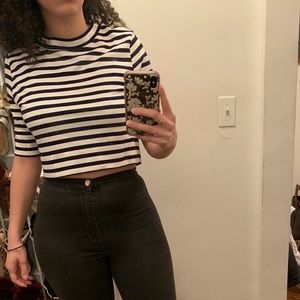 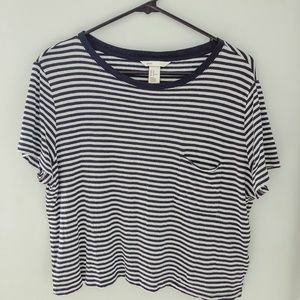 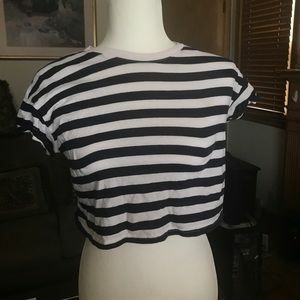 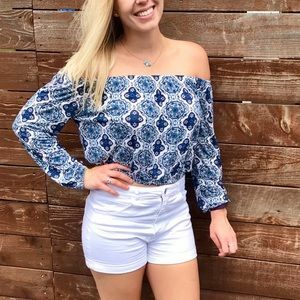 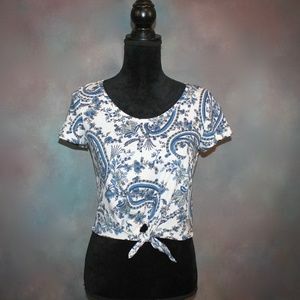 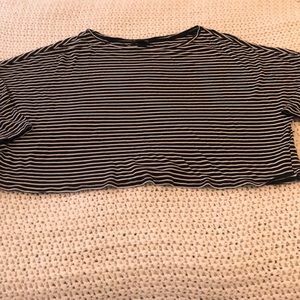 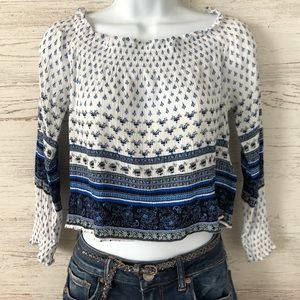 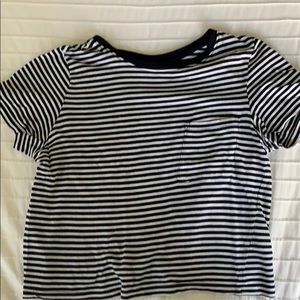 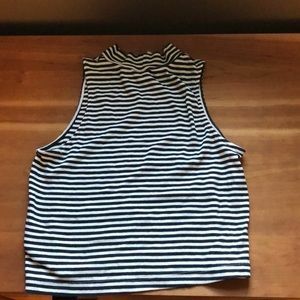 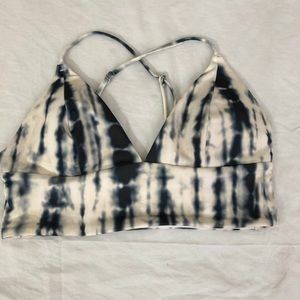 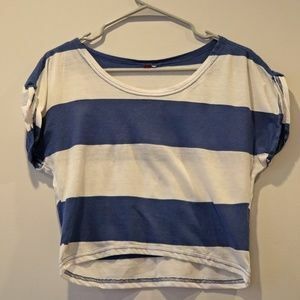 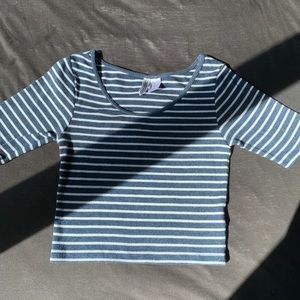 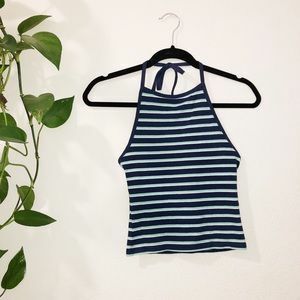 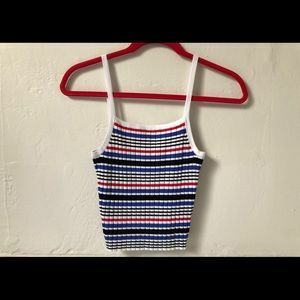 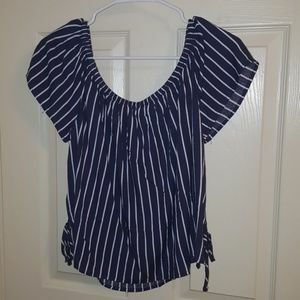 Navy Blue and White Striped Cropped Top!